My sauces need to be kept chilled, they will be delivered to you in a polystyrene box with ice packs to keep cool, they are picked up from us by the courier 3pm and delivered to you the next day. Next day courier delivery is £6.99 regardless of how many sauces you order. The sauces are perfect for the freezer and don’t take long to defrost so on arrival they should be refridgerated or frozen immediately. Hope you enjoy them! Our sauces are available online in various sizes of party packs, as standard these contain equal quantities of each of our curry sauces, however you can customise how many of each you receive by either filling in the ‘any additional information’ field during checkout or give us a call or drop us an email after ordering. Your pack includes 2 of each of our sauces. Your pack includes 3 of each of our sauces. Sauces are a chilled product and should be refridgerated or frozen on delivery. Customise your sauces: During checkout under ‘additional information’ or call / email us after ordering. A rich creamy, coconut based sauce that is sweetened with puured pineapple and peaches and a little sugar. This sauces is very mild, is a favourite among children! This sauce is rich in tomato, delivering a fantastic depth of flavour allowing the natural taste of the spices to shine through. The Madras contains chilli making it a great tasty sauce – perfect for the person who likes a bit of extra heat without compromising that all important flavour. garlic, we add a hint of chilli making it a medium based sauce. 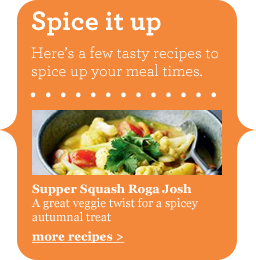 A Rogan Josh coupled together with a Korma (for the kids), is a fantastic combination for all the family. A tomato based sauce, made with lots of fresh ginger and garlic, a hint of mint. This sauce is mild and slightly sweet, the Tikka Masala is well known as being the nation’s favourite takeaway.